As you look up into the morning sun, there are six hot air balloons coasting down the west side of the valley toward the bay. What a great view of a seemingly endless carpet of vineyards. The valley is waking up and whether you eat at your hotel or one of the myriads of small restaurants in our many towns, you are bound to have a wonderful meal. The Napa Valley is situated between two small chains of mountains and is directly east of the Sonoma Valley, another wonderful stop when visiting wine country. It is about a one and a half hour drive from the San Francisco airport, and an hour northeast of the Golden Gate Bridge. At the very bottom of the valley is the San Pablo Bay, an extension of the giant San Francisco Bay. The appellation for this area is Carneros, and it is an excellent place for producing sparkling wines. One of the most impressive is called Domaine Carneros, a reproduction of a French Chateau. The Carneros area also produces Chardonnay and is the best area of the Valley for Pinot Noir. Driving north thru the Valley on Route 29 will bring you past dozens of wineries and thousands of acres of grapes. It is a busy road with many restaurants and shops. About one mile to the East of Rt 29 is the Silverado Trail. Traffic is lighter here, and it has a more rural appearance. 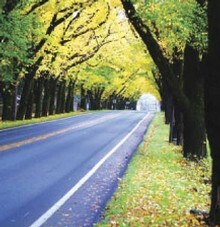 It is also lined with wineries, as are all of the crossroads that run between those two major roads. In total, there are 14 different appellations, or distinct growing areas in the Napa Valley. Each has it’s own unique soil, elevation and temperature conditions, producing grapes of many differing characteristics. Some grapes prefer the hot valley floor, others thrive on the thin soil of the hillsides. Tasting fees vary from one winery to the next. Some still offer free tasting, some wave the charge if you buy wine, and some of the more popular wineries charge as much as $25 or $50 for private tastings of their Reserve wines. Many of the major restaurants are situated along RT 29 and it the small towns that are adjacent to it. Lunch at Bistro Don Giovanni will find you in the midst of many winery owners and wine makers. If you stop at Go Fish, you will meet a sushi chef who has lived in the Napa Valley for 30 years and really knows how to match fish and many of the valley’s white wines. In the village of St Helena, the restaurant named Terra is owned by Mr. Hiro Sone and his wife, who is the daughter of one of the valleys most famous wineries. The winery is called Quixote and the building is one of a kind in the USA. Quixote is represented in the Club’s first delivery of wines. No discussion of Napa restaurants would be complete without mentioning the French Laundry, one of the top restaurants in the USA. 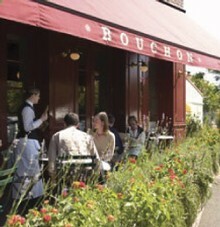 The owner, Thomas Keller, is world-renowned. After eating at all of our famous restaurants and drinking a lot of 90 Plus wines, you may want to get a little exercise. There is no place like Napa for cycling. Weekends find many cyclists riding up and down the Silverado Trail, and you will often see bikes parked at the wineries while the riders do some wine tasting. 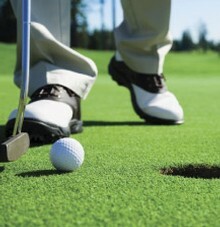 For the golfers, there is the world famous Silverado Resort. With 36 holes of golf, a large Spa with exercise rooms and all spa services, many tennis courts and several restaurants, this is a good place to call home for your visit. There are several other golf courses, and many Spas in Napa, Yountville, Calistoga and St Helena, the larger towns of the Valley. Calistoga is famous for it’s hot springs and mud baths. Just to the west of the Napa Valley, on the other side of a small chain of mountains, is the Sonoma Valley. Like Napa, it is full of wineries and vineyards. In fact, it is the home of Buena Vista Vineyards, which was built in 1857 by a Hungarian immigrant named Agoston Haraszthy, who is called the Father of California Wine. Since Sonoma is closer to the Pacific Ocean, it is affected by some of the cooler sea breezes. As a result, Pinot Noir, the grape varietal of Burgundy, flourishes here. Many of the best Pinot Noirs from northern California come from the Sonoma Valley. Like it’s sister valley, Sonoma is made up of several small towns. Sonoma itself has a large town square with many restaurants and interesting shops. A few miles to the north is Healdsburg, a charming small town with a broad variety of restaurants ranging from basic western style to Fusion. Held in early June each year, the Napa Valley Auction is a fund raising event for many charitable causes around the Valley. It lasts for four days, though many people extend their stay. The Auction and other events are organized by the Napa Valley Vintners Association and their 300+ members. There are picnics, barrel tastings, private dinners with wine makers and winery owners, and other desirable activities. It is very popular and reservations should be made many months in advance.